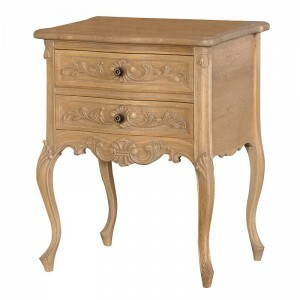 A stunning French style bedside table to match our Helene Grey Lime French bed. This chest is manufactured to the highest quality from birch wood with subtle carved detail. The Helene bedside is finished with a natural weathered appeal and brass metal handles.